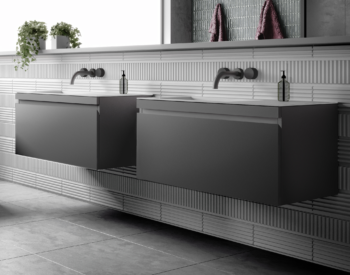 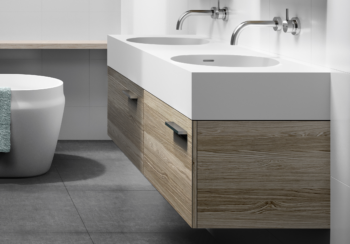 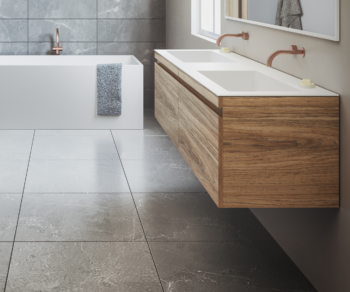 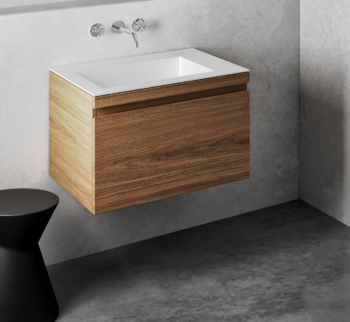 The Motif vanity is a beautifully elegant piece of furniture specifically designed to complement the Motif basins, although it will also suit many other styles of bench top basins. 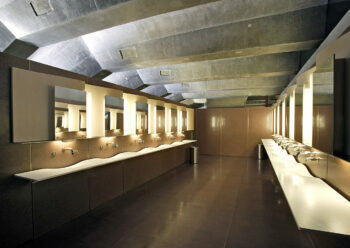 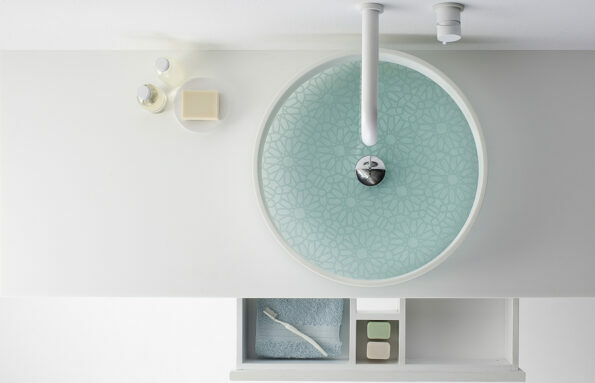 The Motif vanity is timeless and will give any bathroom or powder room a luxuriously opulent feel. 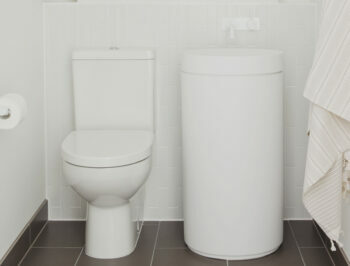 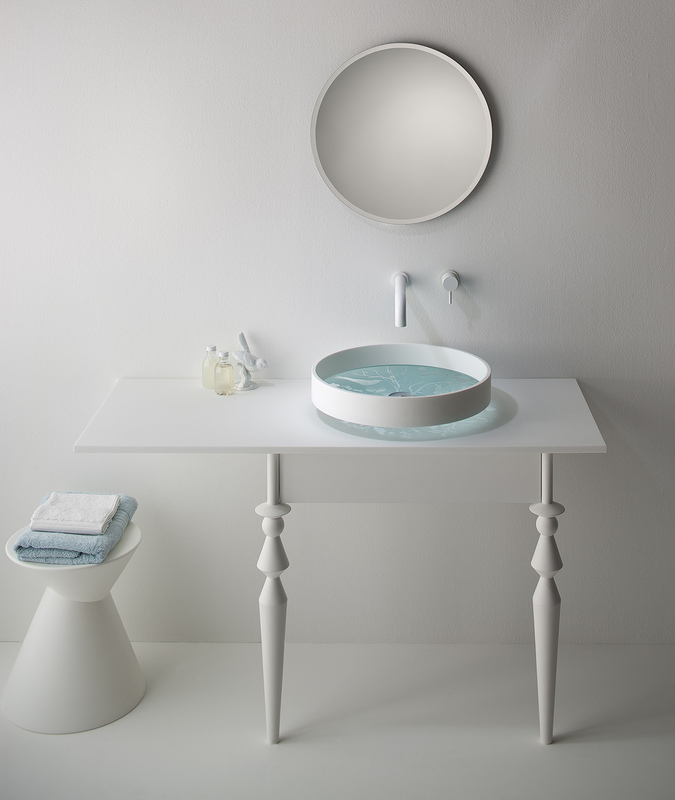 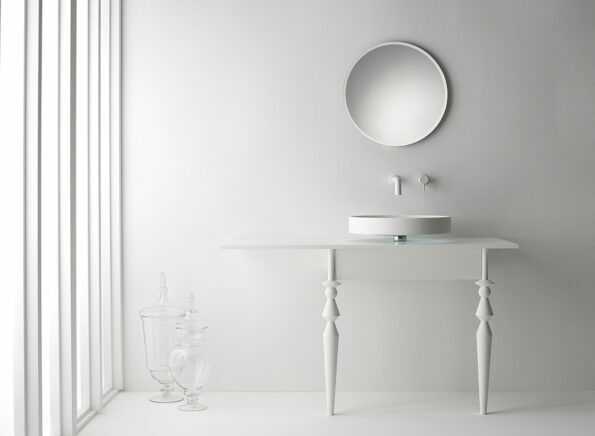 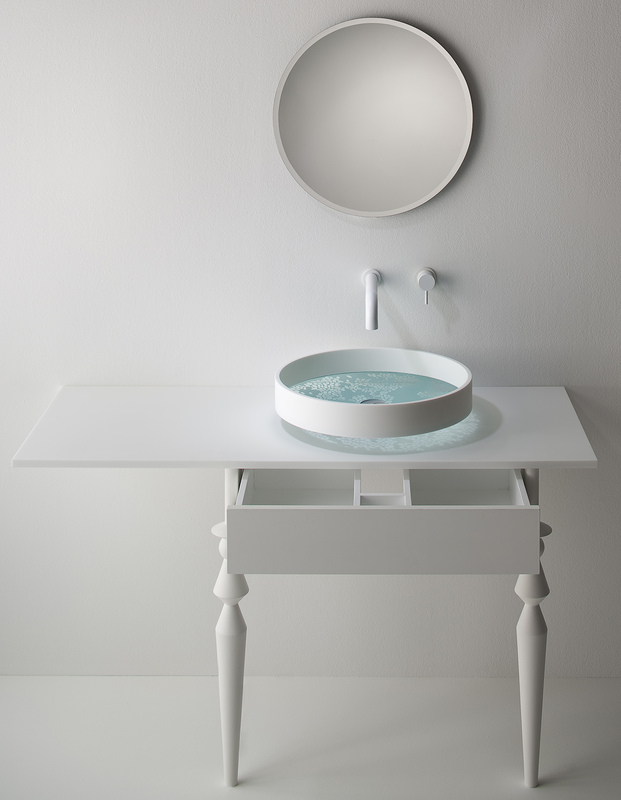 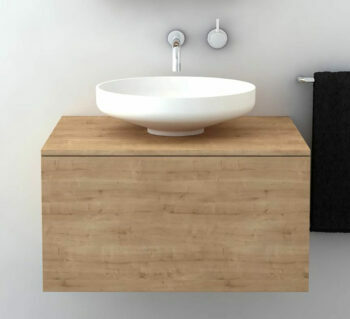 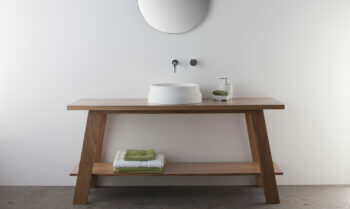 The vanity offers a discreet partitioned drawer and is supplied with two hand turned solid timber legs, painted white and is finished with a solid surface bench top that can be ordered as a left or right offset bench top or centred. 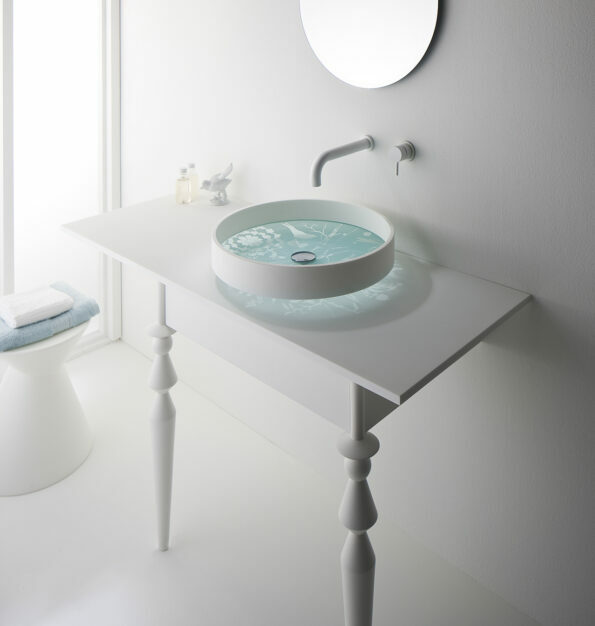 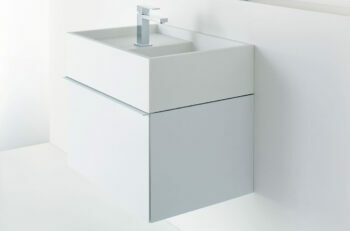 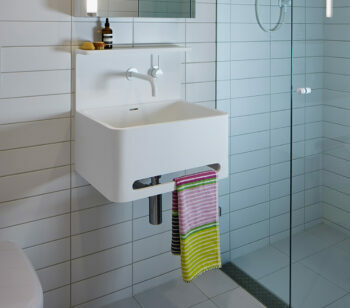 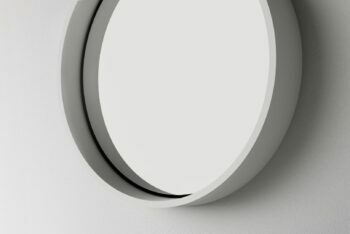 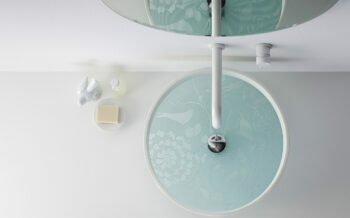 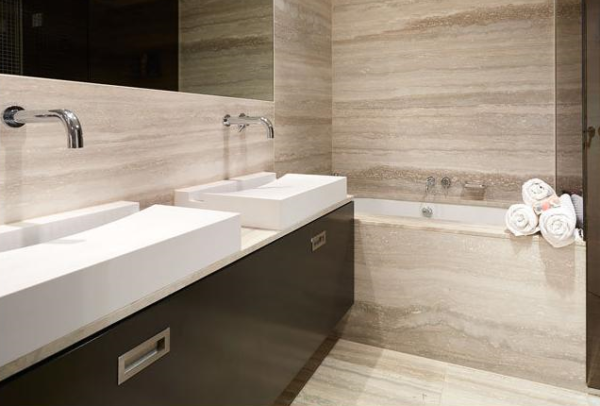 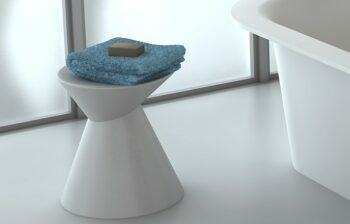 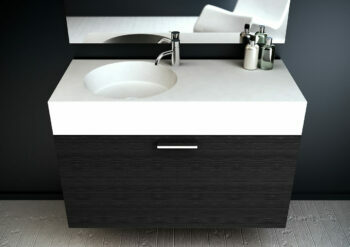 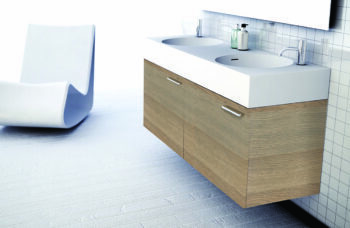 The Motif vanity is a luxurious piece that will be the centrepiece of your bathroom.